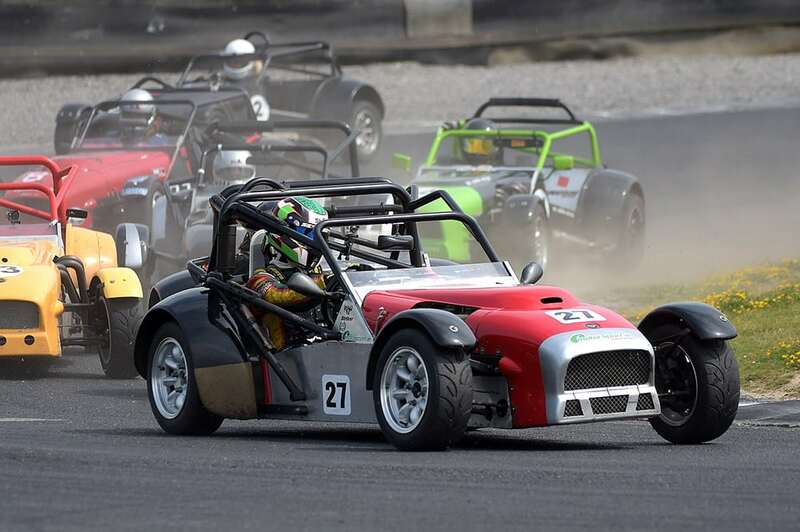 Nicole Drought continued to show strong form as the Irish Stryker championship returned to Mondello Park for rounds 5 and 6 of their 2018 series last weekend. Nicole’s confidence was on a high, having run at the sharp end at the previous rounds in Bishopscourt in Northern Ireland, where she finished third in both races, meaning she was third in the overall championship and leading the Rookie championship on the run up to Mondello Park. Testing went well for the Gem Oils backed driver as she learnt the anti clockwise circuit for the first time and both she and the team were confident ahead of qualifying on Saturday morning. Disaster however, was about to strike as Nicole lost all drive after just 5 laps and coasted back into the paddock. A gearbox issue was quickly diagnosed and with no spare at the circuit, the team elected to drive to Dublin to collect a gearbox. Despite having complete so few laps, Nicole’s time was second quickest overall, meaning she would have started from the front row of the grid- had she made it to the grid. With race one scheduled to run before the lunch break, there was no chance of fixing the car in time. The team, however, set about removing both engine and the offending gearbox, with the aim of making it to the grid in race two. This they did with just minutes to spare and Nicole was just in time to join the race. She repaid the team with a typical charge, closing down the two leaders in the closing stages to finish in third place. Nicole still remains third in the championship and also retains the lead in the Rookie series too.